My clients are my livelihood. I respect their rights to privacy and respect the fact that it is I who serve them. They have entrusted me with their inspection, including ancillary services that may not be a part of a standard inspection. As such, I believe I owe my clients an absolute right to know that their personal and private information is safe with me. Therefore, I promise that I will not provide to any third party any personal or private information (to include contact information) about my client(s) or the property I have inspected, in exchange for compensation of any kind, nor free, (including but not limited to products, services, incentives, rebates, barter, cash, condition for use/participation, or consideration) that I might receive, either directly or indirectly, from anyone. I also promise that my inspection agreement will not include any clause(s) or language that could, in any way, be considered by anyone to waive any rights of privacy that my client might have, inclusive of any waiver of rights or restrictions relative to telephone contacts, e-mail communication, or solicitations from commercial and private enterprises of any type whatsoever. The client has the right to know, ultimately, who they are entering into agreement with and how that may affect their rights to privacy. I stand by these principles. 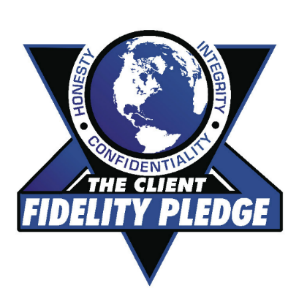 I therefore acknowledge that if I willfully violate this pledge, it may be construed as misuse and may also constitute false and misleading marketing or advertising. I take my clients rights to privacy quite seriously, and this is My Pledge.